US-based coffeemaker company Keurig Green Mountain has collaborated with Italian manufacturer of professional coffee machines Evoca Group to create a solution in the Away From Home (AFH) sector. 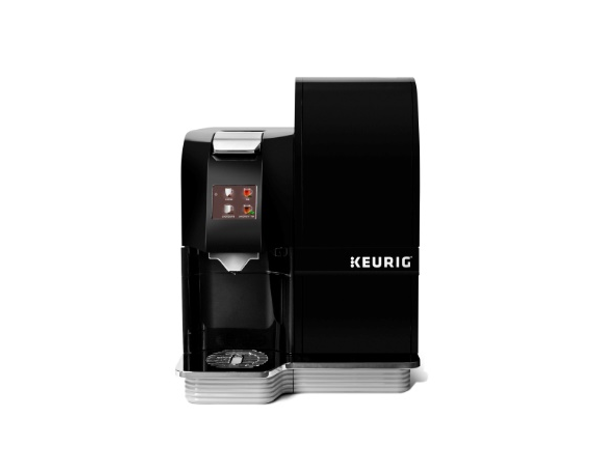 The final coffee machine product is called the Keurig K4000 Café System, which will be launched later this year. It uses K-Cup pods and milk powder to deliver lattes and cappuccinos to locations such as workplaces, hospitals and hospitality settings. The system will be manufactured by Evoca Group in their Italian facility and distributed across the US and Canada by Keurig. Keurig’s AFH Division SVP and general manager Michael Pengue said: “More than two thirds of AFH beverage consumption occurs in the afternoon, when people are looking for the more varied and indulgent pick-me-up beverage options. According to the manufacturer, the combination of these new beverage formats with more than 150 varieties and 30 brands currently distributed by Keurig in the AFH sector will unlock hundreds of indulgent beverage possibilities. The fast and easy-to-use K4000 Café System offers 150 varieties, ranging from pumpkin spice lattes to chai and earl grey tea cappuccinos. In addition, any K-Cup pod is compatible with the coffee machine. Keurig Appliances SVP and general manager Darcy Clarkson said: “Our partnership with Evoca Group couples their extensive commercial café system manufacturing experience with our expertise in K-Cup pod brewing equipment, providing an innovative beverage solution for away from home consumers.